Who is lurking around this forum and for how long? Some odd premonition told me to check the poll archives for a question about how long have you been playing ? Indeed, there it was on page 3, I think for July 25, 2012. I found the format to be unacceptable being that the modulus (years) of the data varied. Therefore I sort of normalized everything which I hope you can see on my attachment. WOW! In my model the membership "activity" goes from 800 for 0-3 mo. students down to 1.5 at 10-12 years !! And 5 years is a dangerous time. Well, we have seen a lot more people start than stick with it, over the months. I think that is probably standard for any instrument. But wow.. from hundreds to a few is a pretty drastic drop-off. However, I don't think that bit of data shows the number of people who are active members of this community who have stuck it out for at least a year, though? I've heard that the 2 yr point also tends to be particularly 'deadly" for a lot of people. Interesting. I've picked up the violin many time's over the past 60 year's only to put it back down do to lack of motivation, but when I found the "Fiddlerman" community a couple years ago I've since kept my interest. I'm sure, actually positive that if it weren't for this "site" that I'd have continued to keep putting it down. 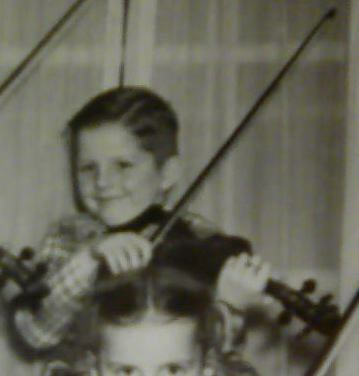 I love violin, always have since I quit playing 60 years ago as a kid. I've visited a couple other fiddle sites in the past, but non can compare to this one. My interest is pretty stationary now. Yes, FM site is more user friendly or tolerant than many other sites. I think the site provides a very valuable service to work out issues of technique and to learn, in general, about the violin and the music. Also there are many here for hardware consultations. I am not surprised at the very short careers for many violin hopefuls. There may be more violins in closets than moth balls! I also think that most people could play some music on the violin but it is too demanding and not what was expected. Perhaps another issue is motivation. Not everyone has access to regular jams, orchestras, etc. I think violin is much more difficult than people realize. I have played other instruments, and could "make music" fairly early on. But violin has been a challenge! I have a few friends that have old dusty and (sad to say) broken violins tucked away in their closets. Playing the violin is almost as difficult as deciding whether or not to play the violin! Chatting with members, I've found that many or most of them first came to the site through FM's youtube review of the $100 Cecilio. So it shouldn't be much of a surprise if a given member at a given time is a rank beginner. Partitioning the members into cohorts according to their join date, and noticing that some members stay for a long time, I would expect that over time the distribution would shift toward longer memberships and longer times playing violin. Two years ago, at the time of the poll, most of those who had been playing for more than five years had already found web sites if they were looking for them. The site is great for self-teaching beginners. Hopefully, with maturity it becomes more attractive to experienced players. "You can't be twenty on Sugar Mountain, though you're thinking that you're leaving there too soon." @Ginnysg I so agree that things are vying for time. I too, am very diligent to not let the difficulty or my schedule stop me. I also agree that it was harder than I thought. I thought I'd be a bit better than I am now...but I am not disappointed in anyway. It sort of lights a fire to play more and more. I have seen some come and go..and some have gone and came back. I would think that is just normal "forum" type behavior regardless of the instrument. 🙂 But I guess if someone has stopped or taking a break... they probably don't want to hang out. There is another aspect of membership that interests me. There are maybe 20 members who are more or less regular on the site BUT there are 100's of archive hits going on every day. Some body is watching! I wonder who ?? Well, there is a fairly tremendous amount of information and discussion on topics of interest for violin/fiddle in the accumulated years of the forum threads. So my guess would be "Anybody looking for more info about violins and fiddles and how to play them". Not like this place doesn't come up on the search engines often enough with any basic query about violins (and some not so basic). Most folks would just be looking for a quick answer or two, and so they maybe don't become members.. But some of them come back, and eventually do become members. Most don't though. I am happy to have the "family" of violin friends here..... I love when new people join and really "like" us and stay for a while.